NW Sunday section, above the fold. Jake Goldstein-Street, Shorecrest class of 2017, now a sophomore at the UW, is majoring in journalism and political science. 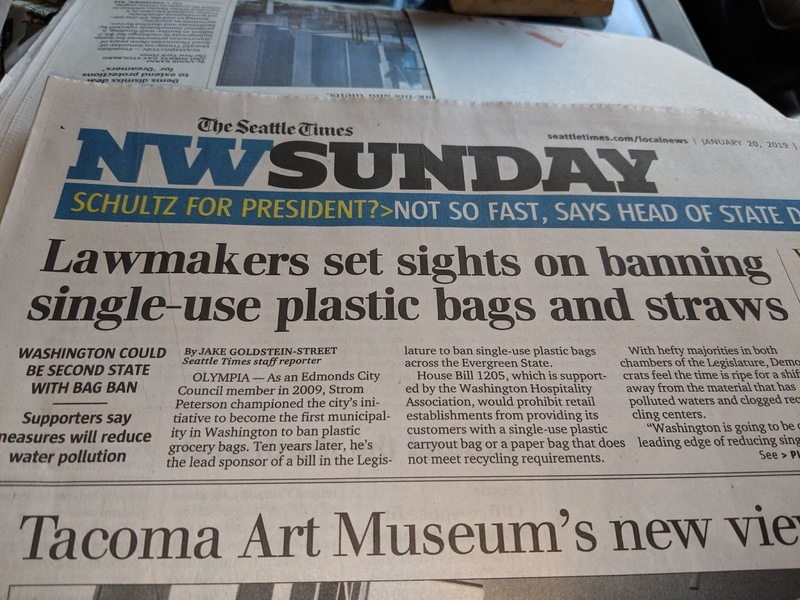 He is interning as a reporter for The Seattle Times in Olympia covering the current legislative session. 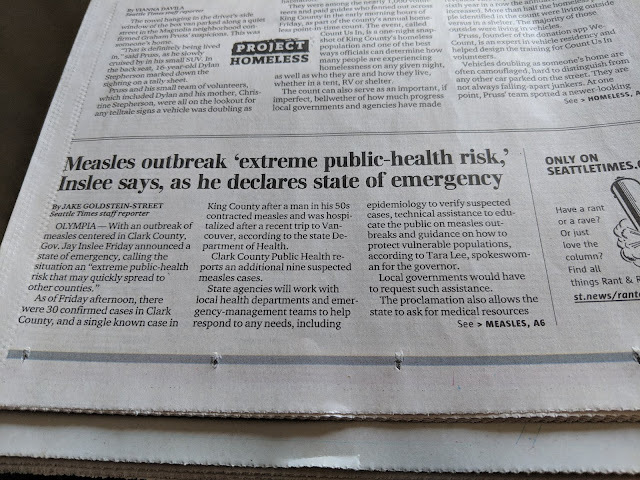 Saturday his article on the measles outbreak was on the front page, and last Sunday his article on plastic bags and straw use was on the front page of the NW Sunday Section. Previously he has written for the UW Daily, Capital Hill Seattle, and the International Examiner. His dream is to be an investigative reporter following in the steps of Woodward and Bernstein of All the President's Men fame.